Krasimir has been part of House of Opportunity Programme in Ruse since 2011. Even though his first month in the House were not easy, he proved to be very persistent. His will to become a successful person, someone with good job and good social status, is inspiring. When he arrived at the House he was confused – he was not sure what he wants do to with his life, he was making friends with people at risk, who were trying to persuade him to sell his inheritance. To help one of these “friends”, Krasi bought expensive TVs – his friend took the TVs and Krasi was left alone with the credit. After a long process of adaptation and gaining credibility, he managed to stabilize and see the full picture of what is going on. Soon Krassi found himself a job – for an year and a half, every day he was digging cable ducts. The work was hard, because he had to work even when the weather was bad – in rain, cold, snow or burning sun, Krasimir was working. Krasi started looking for another job – the company has stopped paying him and his colleagues. This is when the team of FSCI included Krasi in a program of Fund “Start up – support for employment for young disadvantaged people” – he went on a interview and was immediately hired! The company is very pleased with his work, and, even though we are paying him the minimum wage, the company decided to invest in Krasi as well – they cover his insurance. He is very happy and grateful for this new opportunity. Soon after he started working in the company, he was promoted – his new position in the company is much more interesting and promising. He is currently at the end of his internship and expects to re-sign a permanent contract with a better salary. We have the assurance of the manager of human resources, that Krasi deserves and will have the chance to continue working on this position in future as well. 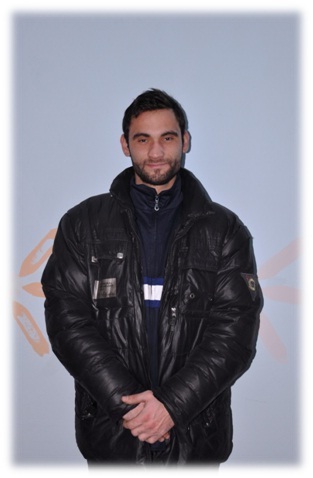 Krasimir is now more confident – he believes in his bright future. So do we.